Houseplants can do wonders to brighten a home and bring some beauty and variety to it. When it is cold outside you can sit in a warm room with a beautiful plant and still feel the vibrancy of the spring or summer. Also, houseplants can actually bloom for most of the year, so you can have beautiful flowers in your home on a healthy plant for years and years. Imagine the snow falling outside while you sit and look at beautiful flowers. 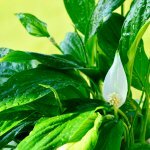 This might seem like a surreal experience, but it can be yours if you learn a little bit about flowering houseplants and their care. You might also think that these plants are only available to someone with endless time or money. Guess again because blooming houseplants are not rare species and they should not require a large amount of your time or care. However, what you do need to do is to choose the right plants for your home and learn about them. 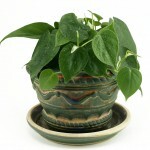 You should ask yourself some basic questions about what you want in a flowering houseplant. Will the plant only flower once and then die? Could you move the plant between different locations? Does the plant need constant sunlight? 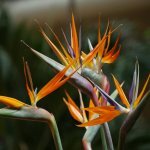 Listed bellow are some of my favorite flowering houseplants with some basic information. 1. Passion flower vine. The great thing about this plant is that it can be trained to grow up structures, filling your home with wonderful blossoms. If you want it to grow up something in particular you should train it to do so by providing a particular structure. 2. African Violets are another great option because these plants have such amazing blooms and great colors. The range of coloration varies from purple, to blue, to pink, and sometimes white. 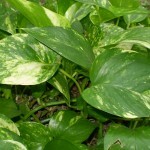 If you want to move these plants outside and transplant them, be sure to do so in warm temperatures. 3. Poinsettias are a great option and are some of the most popular flowering houseplants around. These plants bloom in various colors and are very beautiful, but they are very hard to get to bloom after one year. 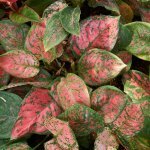 These are great plants for decoration or for special occasions, which is why many people purchase them for Christmas or for Thanksgiving. 4. Another great choice and my personal favorite is the orchid. Orchids are some of the most diverse plants in the world with thousands of species. Orchids are notorious for being difficult to get to bloom multiple times. However, if you stick with them and are patient you should be able to see your orchids bloom year after year. These flowers are so delicate and gorgeous that you can’t resist trying an orchid as a flowering houseplant. These are just a few common flowering houseplants but there are many, many more. Spend some time investigating them and experimenting with them. It might take some time and energy to find out what will work for you in your home, but with some hard work you should be able to find some plants that will fill your home with constant and beautiful flowers. If you have a variety of plants you will also always have a great conversation piece. Plant lovers will immediately want to talk about what they see in your home. At cold times of the year you will have something vibrant to look at and think about. Never underestimate what a little color will do for you in the darkness of winter. The other nice thing about these plants is that you can care for them for years and years. They will almost feel like a beloved pet or member of the family.